The original Dachau Concentration Camp has been a memorial site and museum since 1965. About 800,000 visitors per year travel to the site in remembrance to those who suffered and died here. 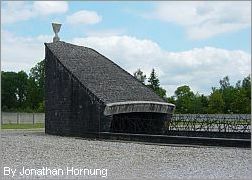 Dachau is the shocking legacy of the darkest part in German history and will always be associated with Nazy atrocities. 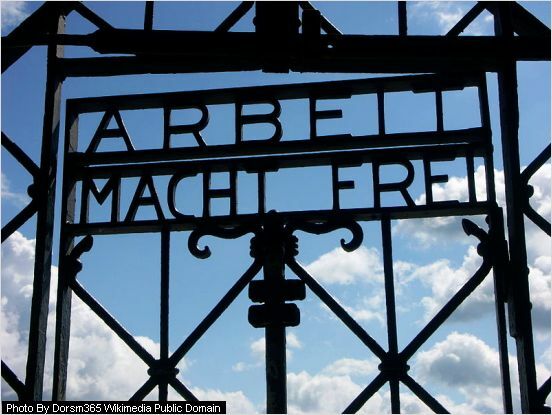 "Arbeit Macht Frei" means "Freedom Through Work"
This page gives you brief facts of the Dachau concentration camp (Konzentrationslager / KZ) from 1933 to 1945, an introduction of the memorial site, how to get there, and tips and links for further reading. I want to stress that a visit to the Dachau memorial is definitely not a "ticking off another tourist attraction" journey. It is a sobering experience, a reminder of the horrors committed by the Nazis. 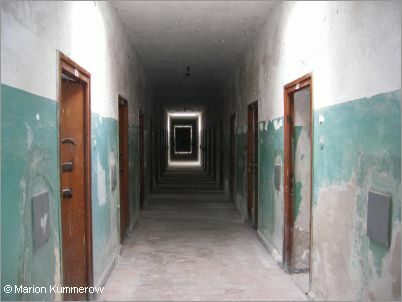 Dachau was the first and longest operating Konzentrationslager. The camp opened on 22nd March 1933 to keep German "political prisoners", people who were real or potential opponents to the Nazi regime (Communists, Social Democrats, Trade Unionists). The first Jews were sent to Dachau because of their political opinions, not because of the fact they were Jews. In the following years Gypsies, Homosexuals and Priests were imprisoned at Dachau. It was the first concentration camp and the prototype for those that followed, and also a school for SS officers who supervised other camps. Dachau was never a "death camp" like Ausschwitz and Treblinka, although more than 40,000 of the approximate 200,000 (numbers vary slightly from different sources) inmates in Dachau died. They were murdered, or died from disease and malnutrition. Following the "Reichskristallnacht" (night of broken glass) in 1938 more than 10,000 Jews were sent to Dachau concentraion camp. They were forced to sign over their houses and leave the country. Those who agreed, and it was the majority, were released from the camp within a few weeks. With the begin of WW II more and more prisoners from Poland, Austria, and Soviet republic, as well as Sinti and Roma, were transported to Dachau. The camp was overcrowded and conditions for the inmates became even more terrible. From 1943 more than 100 subsidiary camps were built, thousands were killed through forced labour and a typhus epidemic. Dachau concentration camp was liberated by American troops on 29th April 1945. At that time the camp was crammed with approximately 32,000 inmates. 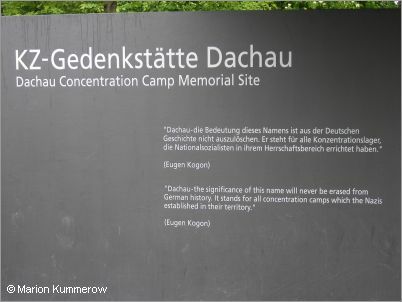 "Dachau - the significance of this name will never be erased from German history. It stands for all concentration camps which the Nazis established in their territory." 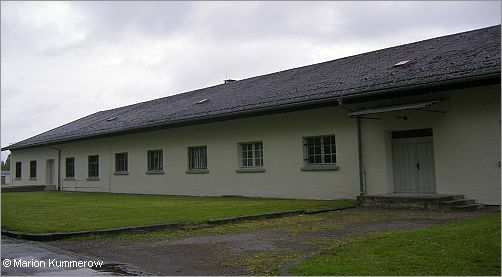 Surviving prisoners of the Konzentrationslager in Dachau formed the Comité International de Dachau. They intitiated the memorial site on the grounds of the former concentration camp. 1960 - A temporary museum was opened in the former Krematorium building. 1965 - The concentration camp memorial site was opened. In the following years new exhibitions and memorial were added. Monuments, chapels and memorials commemorate the inmates imprisoned for religious reasons. 2002 to 2003 - A new permanent exhibition was opened in the former maintenance building. Since 2005 visitors to the memorial site enter the grounds through the original entrance in the Jourhaus. A new visitors centre opened in 2009. Although these 3 books are not about Dachau, I highly recommend them to anyone interested in this dark chapter of German history. Based on the true story of her grandparents, my friend Marion Kummerow writes about the courage of ordinary people from the time Hitler took over power in 1932. As a German born in the 1950s, I often asked myself, how could all the horrors of the Nazi regime happen? Marion's novels give an insight of how Nazism, propaganda and violence against opponents, slowly crept into everyday life in Germany. The Official website of the Dachau memorial site has excellent information (in German and English). You can do a virtual tour to prepare yourself for a visit. For those who seek comprehensive background information these books are highly recommended. The easiest way to get from Munich to Dachau is by public transport. Take the S2 train from Munich main train station that goes to Dachau/Petershausen. The train ride takes approximately 25 minutes. 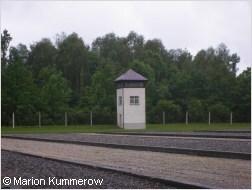 From the Dachau train station, take bus 726 towards "Saubachsiedlung" to the entrance of the Memorial Site ("KZ-Gedenkstätte"). The memorial site is open from Tuesday to Sunday, 9:00am to 5:00pm, entry is free. You can watch a 20 minutes documentary about the concentration camp in the cinema of the museum in English at 11:30am, 2:00pm and 3:30pm. The film is not recommended for children under the age of 12. Want to visit the memorial site with a guide who gives comprehensive information? Check out this tour which is highly recommended by travellers who joined the tour. Your tour guide picks you either up from the hotel, or meets you at the train station for the 30-minute train ride to Dachau. An authorized guide will share important information, and he answers your questions, while you walk through the memorial site. The tour runs daily except Monday from the main train station in Munich. Hopefully, these are the lessons we all learn from a visit at Dachau Concentration Camp.